Even before the marijuana business is legal in most of the U.S., it’s consolidating. The financial frenzy continued Jan. 22 as Tilray (NASDAQ:TLRY), the first such company to launch a U.S. public offering, agreed to buy Natura Naturals Holdings for $52 million. The deal doubles Tilray’s production capacity and, since Natura grows in large greenhouses, should improve the uniformity of its product. Tilray stock was down 5.7% on the deal, and open for trade Jan. 23 at about $73 — a market cap of $6.8 billion. Why a company that probably can’t sell its product to you is worth $6.8 billion and was worth twice that before the bear market started in September, illustrates just how fast the pot gold rush is moving. The TLRY stock price has achieved its valuation while the company was on track for revenues of just $50 million for all of 2018. 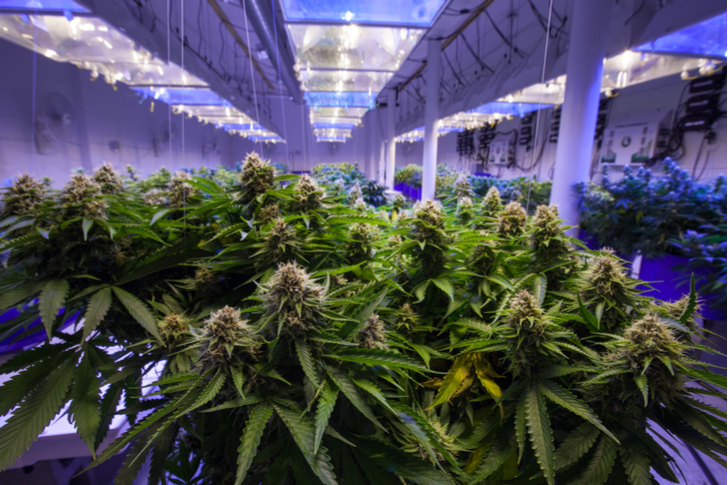 Tobacco and alcohol companies both see marijuana as a legal high they want to take advantage of, but Tilray prefers to talk about its alliance with a unit of Novartis A.G. (NYSE:NVS), the Switzerland-based pharmaceutical company, which signed a distribution deal with TLRY in December. The company also has a $100 million joint venture with AB InBev (NYSE:BUD) to research cannabis-infused beverages. Tilray’s products page treats marijuana as a drug, not a high, with liquid extracts and dried flower in small medicine bottles. CEO Brendan Kennedy doesn’t smoke the stuff, and the only picture of him smiling in a recent Fortune profile saw him leading the Nasdaq IPO. While Tilray is Canadian, the private equity firm behind it, Privateer Holdings, which holds 73% of the common, is based in Seattle. TLRY is the second-largest legal pot company by market cap, trailing Canopy Growth (NASDAQ:CGC), which has drawn $4 billion in investment from Constellation Brands (NYSE:STZ), the liquor company. Another rival, Cronos Group (NASDAQ:CRON), recently sold board control to Altria (NYSE:MO), the cigarette company, while smaller HEXO Group has a joint venture with the Canadian unit of Molson Coors (NYSE:TAP). How Fast Is the Market? Pot stocks are hot thanks to predictions like one in May from Grandview Research predicting this will be a $14.6 billion market by 2025. Tilray’s growth — quarterly sales for December are expected to be double those of the previous quarter — would seem to justify optimism. But sales in Colorado seem to have peaked at between $120 million and $140 million per month. Numbers in Washington state have also leveled off. There are predictions of full U.S. legalization around 2020, but there is no certainty. For now, all the leading pot companies continue to have headquarters and production facilities in Canada, which legalized recreational marijuana in October and won’t have a network of private shops in place until this spring. The pattern of sales, of growth followed by stability, is just what TLRY and other pot sellers are selling regulators, although the story they’re selling investors is something quite different. Tilray does extensive research to see where legalization may hit next — South Korea legalized medical marijuana last fall — in order to grab market share quickly. The marijuana gold rush is real, but its size and stability are still unknown. Tilray gives the product a veneer of respectability, but we’re still talking about pot, and whether that veneer is the right strategy once recreational marijuana becomes common is a question. For now, those questions are all in the future, which is why all pot stocks are highly speculative. When you buy one, you’re buying corporate image and strategy. Tilray’s is very corporate. Article printed from InvestorPlace Media, https://investorplace.com/2019/01/tilray-stock-set-itself-apart-from-crowd/.